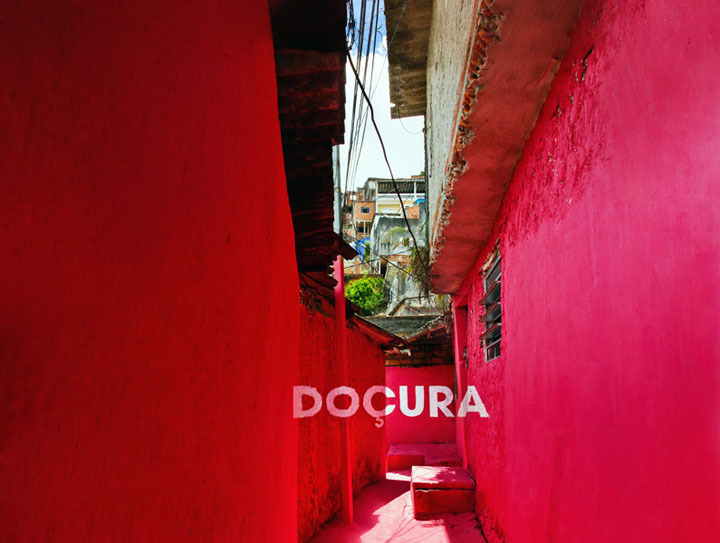 I love everything about this amazing project by the appropriately named Spanish art collective Boa Mistura (good mix): the typography, the color, the participative nature, and most of all the huge heart behind it. Made up of artists Arkoh, Derko, Pahg, Purone, and Rdick who have developed their work in different fields, Boa Mistura represents a mixture of perspectives combined to create something better. 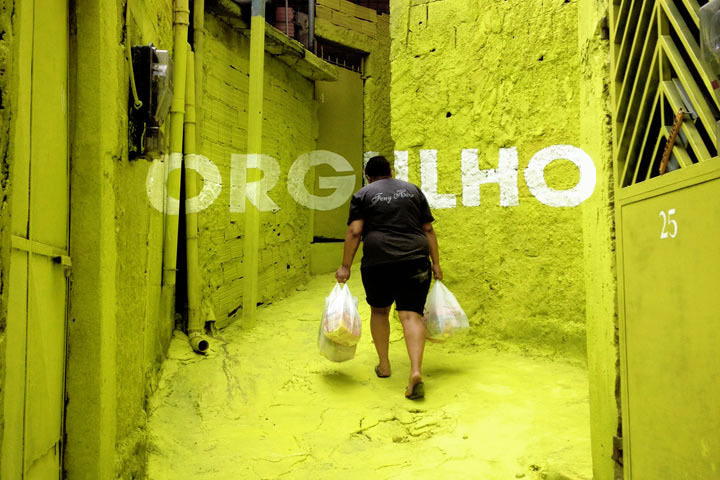 Recently they have started a series of projects in the favelas (slums) of Brazil, starting with Vila Brasilândia near São Paulo where, directly involving the inhabitants, they painted the streets and alleyways with murals using anamorphic typography with pride-inducing words such as, well, ‘pride’ (orgulho), ‘beauty’ (beleza), ‘sweetness’ (doçura), ‘firmness’ (firmeza), and ‘love’ (amor). As you can see, the result is fantastically joyful. Bravo! This entry was posted in Art, Fun, Just Plain Cool, Street Art, Stuff We Like, Typography. Bookmark the permalink. I really enjoy you work, its so different! Wow, the colours really make this idea come to life! I love that the photographs include people, it also makes a huge difference.